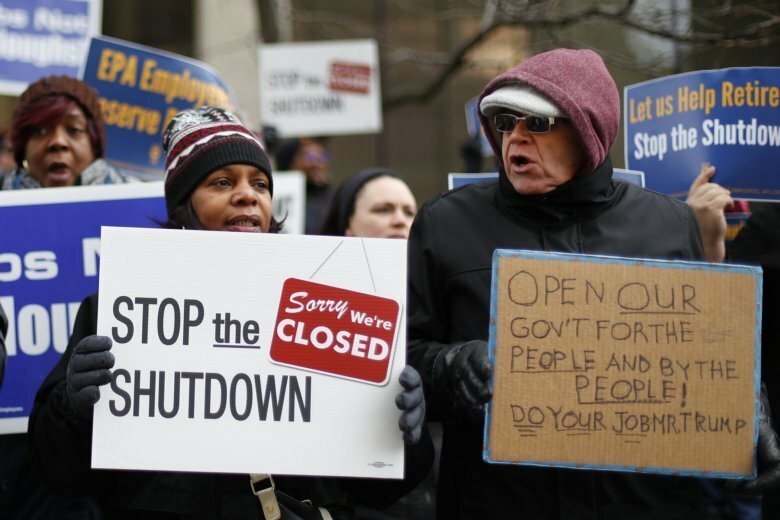 WASHINGTON (AP) — Somehow, some day, the nasty deadlock between President Donald Trump and congressional Democrats that’s shuttered federal agencies for a record-tying 21 days will end. The only real questions are when, how and who will be crowned the winner in public opinion polls and ultimately by voters. Q: What’s the easiest solution? A: None is easy. Trump’s conservative base strongly backs his fight for wall money, even if it has meant a partial government shutdown. Democrats’ liberal stalwarts just as ardently oppose giving in. Trump and Democratic leaders have been so insistent on not surrendering that each would risk rebellion by supporters if they agreed to something viewed as a capitulation. Q: What’s the likeliest way out? A: Increasingly some people think that could be for Trump to declare a national emergency. By law, that could give him authority to use some money in the military’s budget for construction projects for the wall. It’s a tactic that could let each side claim a partial victory and move on. Trump could argue he did secure money for the wall, his most memorable campaign pledge, and overcame Democratic objections. Democrats could say they didn’t give in and they could file suits to block the move, claiming Trump had exceeded his authority by stretching the meaning of emergency. Trump could decide to finally sign bills reopening the government. Some Republicans, including Texas Rep. Mac Thornberry, the top Republican on the House Armed Services Committee, say strengthening border infrastructure is not the military’s job and they oppose siphoning defense dollars for that purpose. Many Republicans worry that by stretching the definition of “emergency,” Trump opens the door to a future Democratic president circumventing lawmakers in ways the GOP would oppose. Democrats would consider the move a fresh example of Trump abusing his authority as president. They say it would be a ploy to bypass Congress and that there’s no emergency on the border, where the number of illegal crossings has fallen in recent years. While the law doesn’t clearly define a national emergency, some experts say a declaration here would be unwarranted. Ultimately McConnell, a tough partisan also renowned for ending previous battles by cutting bipartisan deals, will decide the GOP’s path. It will take more than a few Republican defections for McConnell to abandon Trump. “He’s watching, he’s waiting,” said retired Senate Majority Leader Trent Lott, R-Miss. A: They’ve shown no outward signs of divisions. If anything, Trump’s recent actions — leaving Wednesday’s negotiating session, seeming to blame Democrats for the recent deaths of two Guatemalan children in U.S. custody — have united them more. “Democrats’ reaction ranges from angry to enraged,” said Rep. Gerald Connolly, D-Va.